If the EU imposes sanctions that hurt the Russian oil industry, this will affect the volume of deliveries, leading to a knock-on effect on the price of oil on world markets. 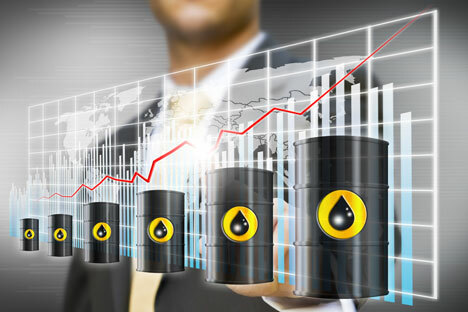 However, there are a number of other factors at play that may influence oil prices in 2014. Prices for oil on world markets will depend on many factors in 2014. If the EU introduces sanctions that have an impact on the Russian oil industry, this will affect the volume of deliveries, and will cause an increase in the price of oil on world markets. However, it is unlikely that the EU can come to a consensus on the adoption of such strict measures. At the same time, Brussels and the United States can decide to restrict the supply of high-tech products for the oil sector in Russia. In the medium term, this could also result in some reduction in oil production, reduced delivery volumes and higher prices on world markets. If one or several of these factors come to pass, then we can talk about fluctuations in the price of a barrel of oil within the 3-dollar range. Another important factor that will have a bearing on oil prices concerns Iran. This year may see the country’s entry onto the world market, if it can reach an agreement with the UN Security Council concerning its nuclear program - a deal that would consequently dilute the restrictive sanctions against Tehran. Oil prices may also increase due to the aggravation of the situation in Syria, especially in the case of a possible military intervention by the U.S. and its allies. As for Iraq, oil production will grow in the medium term. However, it is too early to talk about this. Iraq is unlikely to have an effect on prices on world markets in 2014, though future modernization of its oil infrastructure would increase the volume of sales of oil on the market. Iraq’s quotas for oil sales must also be first approved by OPEC. The world oil market can be easily diversified. A reduction in the volume of deliveries from one country is replaced by purchases from other sources. Libya and Algeria did not have a fundamental impact on oil prices on the world market. As for Libya itself, oil production is currently far behind capacity, and in view of the fact that the political situation is still tense in the areas of major oil fields, the small amounts of oil produced there will not affect current world prices.